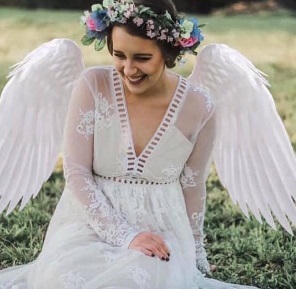 Briana “Bree” Autumn Hinson, 21, entered into rest on January 17, 2019. Briana was born in Augusta, Georgia. She was a devout Christian, loving mother, daughter, sister & friend. A memorial service will be held at The Vineyard Church of Augusta on Saturday, January 26, 2019 at 12:00pm with pastor Kimberly Brazell officiating. She is survived by her children, Blake Jackson & Beau Jameson White, mother Renee Hinson, father Johnny Hinson, sister Michelle Caruthers, brothers Joshua & Joseph Hinson, maternal grandparents Linda & Robert Evancic, Wayne Caruthers, paternal grandparents Darlene & Oscar Whitley. She is preceded in death by her brother Jonathan Hinson. Please visit www.mcneillfuneralhome.com and sign the family’s personal guestbook.